Candidate Donald Trump is leading in North Carolina with 41 % of the vote followed by Ted Cruz at 33% . Right now, Trump is OUTPERFORMIING EXITS in NC. 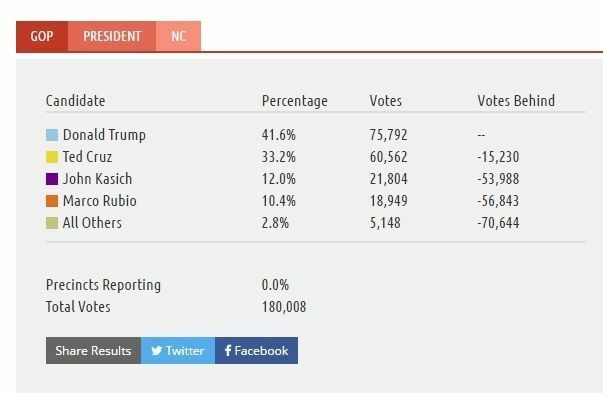 UPDATE: Trump wins North Carolina!